Mission Statement: To provide adults in the community of St. Francis by the Sea varied opportunities to grow in their relationship to God, and understanding of our rich Catholic heritage. Faith Alive is an opportunity for St. Francis parishioners to deepen their faith, enrich their lives and build community. Provide resources and speakers to parish ministries according to their need, encouraging them to be involved in religious educational activities for adult parishioners. Faith Alive will be sponsoring a video program Wednesday mornings in Lent from 9 a.m. until 10 a.m. in the Family Center beginning on Ash Wednesday, March 6th. The videos will be Saying Yes-Discovering and Responding to God's Will in your Life . . . featuring Albert Haase, OFM. For more information on Albert Haase and the video presentation, please click on this link. 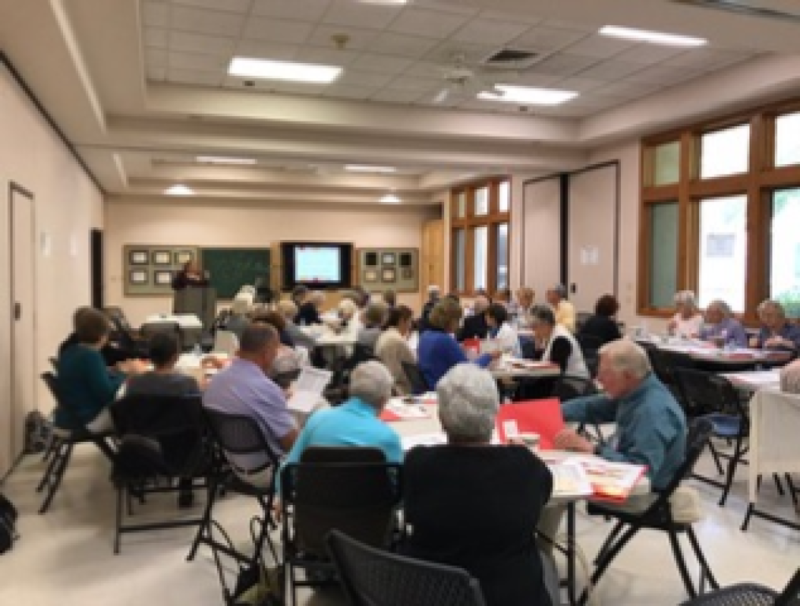 More than 50 parishioners attended a full-day retreat in the Family Center to learn more about the unique spiritual gifts each has; and, how they can use these for the good of our parish. The Joyfully Gifted program was presented by the Evangelization Director of the Diocese of Cleveland. A Big "Thank you" to our Faith Alive Ministry. For more pictures of the Joyfully Gifted retreat, click on the above photo.